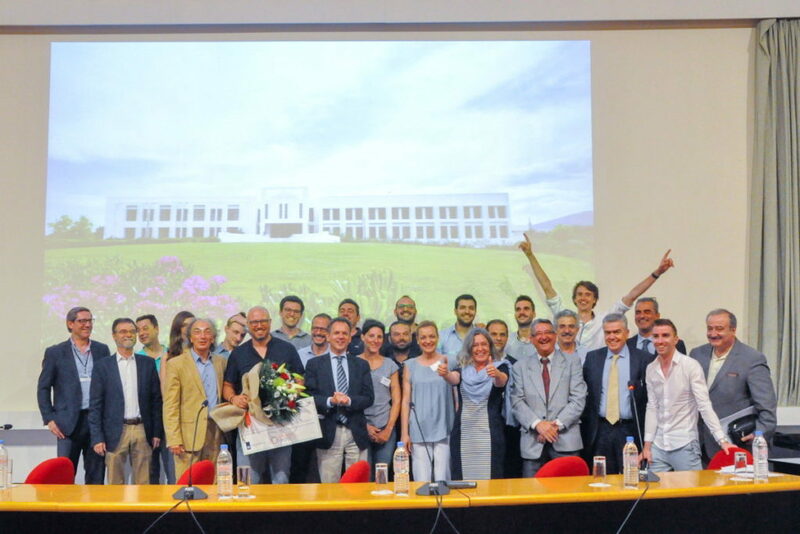 The annual Agri-Food Masterclass on Entrepreneurship, the intensive Masterclass on entrepreneurship in the agri-food sector, took place this year in Heraklion, Crete, June 6-8, 2018. Teams/start-ups with activities in the fields of agri-food and agro/bio-technology participated at the Masterclass. The Masterclass is initiated and supported by the Netherlands Embassy in Athens and the Wageningen-based organization StartLife. This year the co-organizers are the Foundation for Research & Technology-Hellas (FORTH), the Science & Technology Park of Crete (STEP-C), the Technological Educational Institute of Crete (TEI of Crete) with the support of the Region of Crete, the Chamber of Heraklion and the Pancreta Bank. The first price was won by Manos Lerakis and Elena Digenaki, from AVOEL, a company producing, upon scientific research, fresh products, all made from fresh avocado pulp. See more at www.avoel.com. The winning team will have the opportunity to participate in the incubation program of Start Life at Wageningen Campus for 4-6 weeks with individual mentoring, support and seminars! The 3-day Masterclass supported Cretan start-ups work on their business propositions, develop entrepreneurial competences, optimize their business idea, network and explore the business possibilities of the European and world market. The Masterclass was delivered by StartLife, the leading Dutch incubator for food & agri startups. StartLife, in the past 6 years has supported more than 200 start-ups, is part of the Food Valley region, and located on the campus of Wageningen University & Research, a leading academic institution worldwide in the field of food, agriculture and life sciences. The company Tropos Branding Co trained the selected start-ups in communication skills – vital for setting up a business. The event is an initiative and held with the kind support of the Netherlands Embassy in Athens, as part of its aim to support youth entrepreneurship in the agri-food sector, but also share Dutch knowledge and expertise to enable young entrepreneurs strengthen the start-up eco-system in Greece, see Incubator Orange Grove. “Greece has the potential to become a much larger vegetable producer for Europe and beyond”, says the Ambassador of the Netherlands to Greece, Caspar Veldkamp. “But you need a boost in innovation and entrepreneurship to get there. We have the expertise available for such a boost and are happy to share our knowledge”, says the Ambassador. “There is much talent in Greece. I believe it is important to nurture such talent, which will boost the Greek economy and create business partners for Europe’s and Greece’s future. The Agri-Food Masterclass is called into life to give talent a boost and promote entrepreneurship. We want to support the regional networks by engaging them in more entrepreneurial thinking. I believe there is still a lot to do further improve”. Additional information is available on the Masterclass website or give us a call: +30 210 725 4932.